My teeth are worn and chipped. Teeth get chipped easily for all manner of reasons – accidents and injuries to the face or head, even biting very hard food or using your teeth to open bottles (which should always be avoided). It is important to get chipped teeth repaired as soon as possible, because even the tiniest crack can allow bacteria to enter your tooth, leading to the possibility of a painful infection and the need for root canal treatment. Our teeth can also become worn for a variety of reasons, including bruxism – night time tooth grinding – or repeatedly clenching your teeth during the day. If your teeth are excessively worn or chipped, we offer a number of treatment options with which we can restore both aesthetic beauty and functionality. When you come for an initial consultation with a dentist, they will assess the current condition of your teeth before talking you through the pros and cons of all relevant treatment options. Composite bonding involves the use of tooth-coloured composite material – the same material that is used for white fillings – to restore and rebuild your teeth. 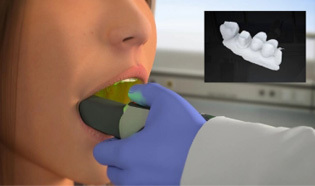 This material is strong and durable, and your dentist will choose a shade of composite that matches the natural colour of your teeth, so the results will look entirely natural. This is a good option for patients on a budget, and treatment can be tailored to suit your individual needs. 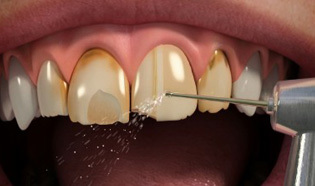 Veneers are micro-thin shells of porcelain placed over the front surfaces of the front teeth to improve their appearance and reinforce chipped areas. 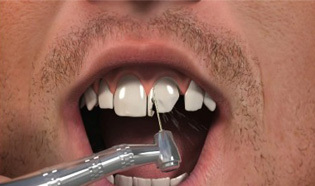 Very little preparation of the teeth is required, and the results will be both long-lasting and natural looking. 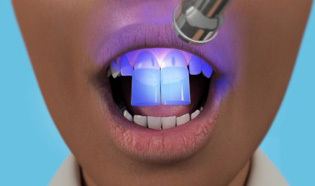 Gum contouring involves reshaping gum tissue to expose more of a tooth, and is good for patients who have a gummy smile. 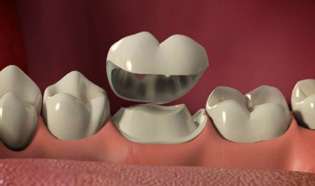 Tooth reshaping involves altering the shape of your teeth with composite material.